Hello all! 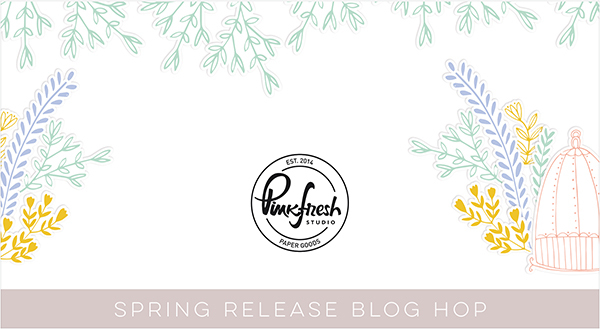 It's time for another Pinkfresh Studio Blog Hop! 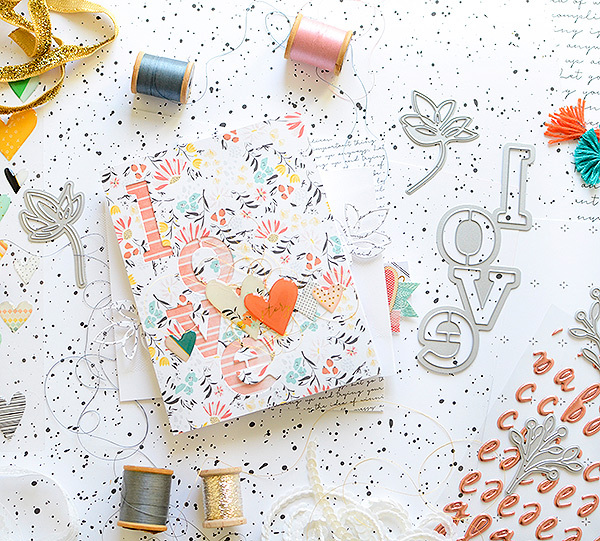 This time we're celebrating the awesome Spring Stamp and Die release featuring lots of really cute sets! If you're hopping along, you've reached me from Zsoka Marko's blog, and I know she had some gorgeous cards because I caught some sneaks of them! Be sure to scroll all the way through my blog to the end because that's where the giveaway details are! But first, let's focus on some cards and one of the new die sets, shall we? All 3 of my cards today feature the die collection called "Love with Botanicals." 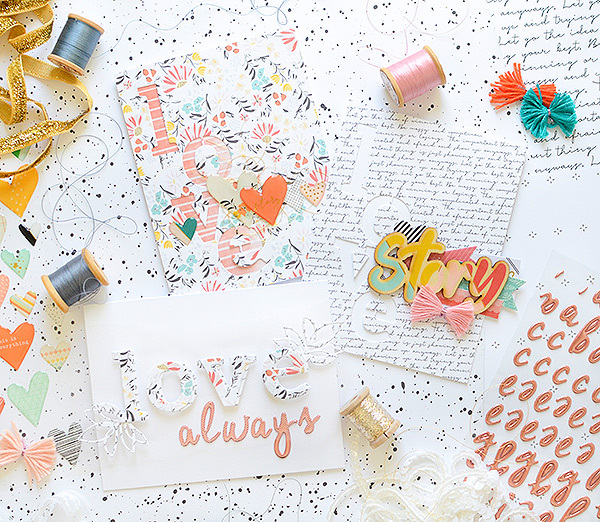 It's a great collection for card makers and I'll show you a couple different ways I used it. 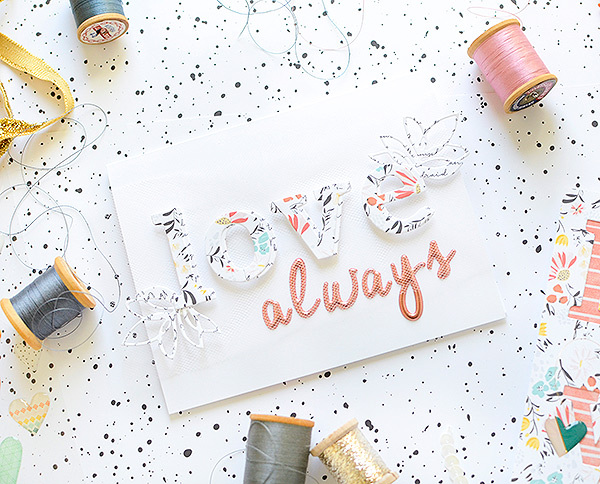 The "love" is spelled out vertically so when you use the negative from the cut out letters, it fits perfectly onto a vertical A2 card (4.25" x 5.5"). That's how I've used it for my first 2 cards. The word LOVE can obviously be tied to so many occasions and sentiments, but for these cards, I chose to make some fun wedding/anniversary themed cards by adding the sentiment STORY. 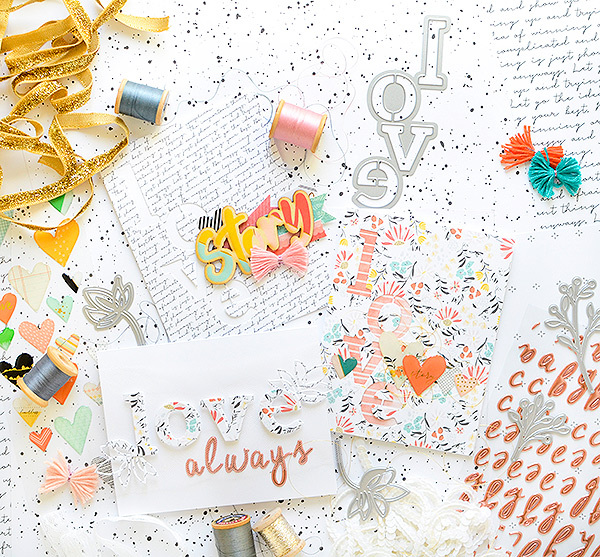 The Pinkfresh paper/scrapbook collection Let Your Heart Decide has quite a few embellishments with that word on them and I thought it would be a really sweet pairing to celebrate those special occasions. I used paper from the 6x6 paper pads to create the card fronts, out of which I cut the Love die. The first card features Flawsome from A Case of the Blahs. 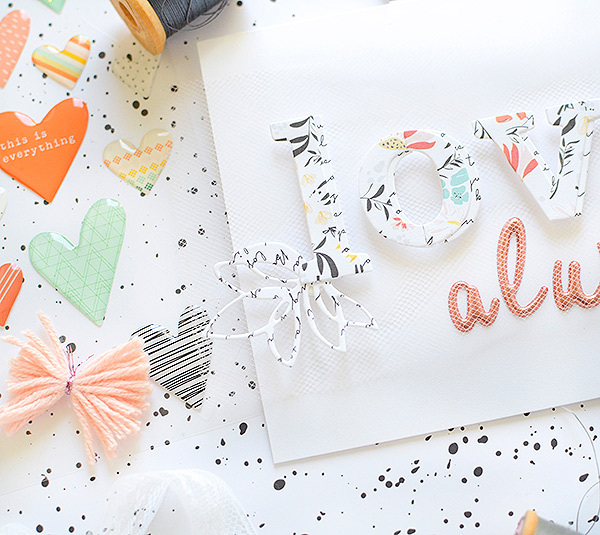 I like the simplicity of black and white script paper, which I then paired with brightly colored embellishments. 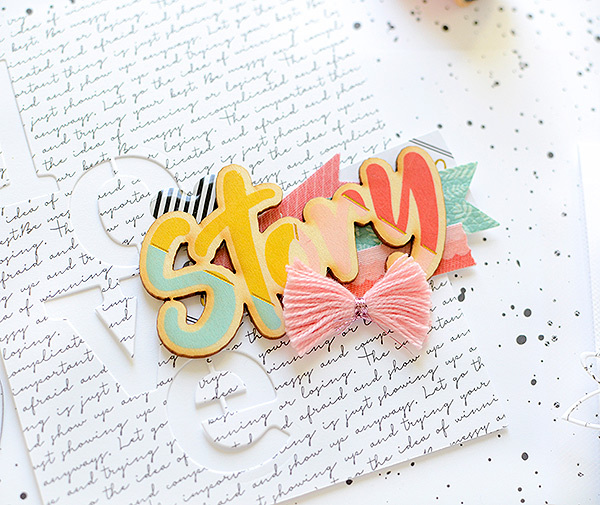 The scene stealer is the colorful wood "STORY" from LYHD. Behind it I've layered fabric and leatherette strips from the Be You collection, as well as a black and white striped epoxy heart. Lastly, I added a tassel bow, also from Be You. My LOVE cutout is left stark white to add a bold, but still soft, contrast. The second 'Love Story' card features the same sketch design, but the elements and patterns are very different. This card has an allover colorful floral pattern (Impulse from LYHD). To avoid the LOVE cutout from getting lost in it all, I matted a pretty orange/coral stripe paper (Instinct from LYHD) behind it. I then created a layered line of LYHD epoxy heart stickers in different patterns and colors that spread horizontally across the card. These are backed with some gold metallic thread for a delicate shine. You'll notice that the orange heart says "story" on it in gold script. For my last card, I went in a much different direction, using the l-o-v-e letters themselves, and I displayed them horizontally instead of vertically--I love dies that allow you to have this kind of versatility. I took all 8 letters that were cut out from my previous 2 cards, in Impulse and Flawsome papers, and matted them together with the floral pattern on top. I adhered the scripted letters offset to the right so that they will still be seen. Doing it that way also adds dimension. I then added cuts from one of the botanical dies, trimmed from the Flawsome ACOTB paper, to the L and the E. The floral has a longer stem that I snipped off before attaching to the letters. The botanical dies are so dainty and I love them for how delicate they are! They make a nice contrast to the blocky letters in the "love" die. To assemble the card, I chose the-can't-go-wrong sentiment "love always", spelling out the latter word with rose gold Be You alphas. I then added some soft texture with a strip of pale pink tulle that runs across the length of the card and even hangs over a bit on both sides. Then I placed my LOVE letters, opting to pop them out with some dimensional foam dots. Out of the trio today, this last one just might be my favorite, as I find myself drawn more and more to minimal cards with lots of white space. That's all for me today, but there are still many more stops on your Pinkfresh Studio Spring Release tour. In fact, the tremendously talented and sweet Julia Stainton is up next! There is one Grand Prize winner who will win the entire Spring Stamp and Die release. To be entered to win this, please leave a comment on the PINKFRESH STUDIO BLOG POST! Each stop on the blog hop will be giving away a $25.00 Gift Certificate to the Pinkfresh shop. To be entered to win these, please leave a comment at the blogs on the hop. All winners will be announced on the Pinkfresh blog on Saturday, April 28th. Comments close Friday, April 27 at 5pm CST. Super gorgeous project Rebecca! Love them ALL. I can see that LOVE die used in so many ways! What a great addition to any stash. Oh my goodness.. I love your cards today! That love die is so versatile and you are so creative. I really like the different patterns and looks you achieved. Also how you combined colors etc... the "love story" is amazing! Amazing colors and gorgeous cards!!! Wow, wow, wow!!! Rebecca your talent never ceases to amaze me. I love how how modern and trendy your cards feel and all the pattern matching is just beautiful. Oh, these are so gorgeous. You've really made this product release shine! Love the new dies and stamps for spring. Very creative use of the dies. You have given me inspiration! Beautiful cards! Great cards, love the colors of choice, and the way you used the dies are all very creative. So bright and cheery cards. Love the idea of the Love Story. Your cards are all so gorgeous. I'm going to go back and check out those Botanical dies - love how you used to accent the card. Beautiful cards! Love the big letters in this die set... they make a statement! "Spring is in the air" when I look @ your cards. Brings me much joy to look at them. Thank you for sharing! Stunning. 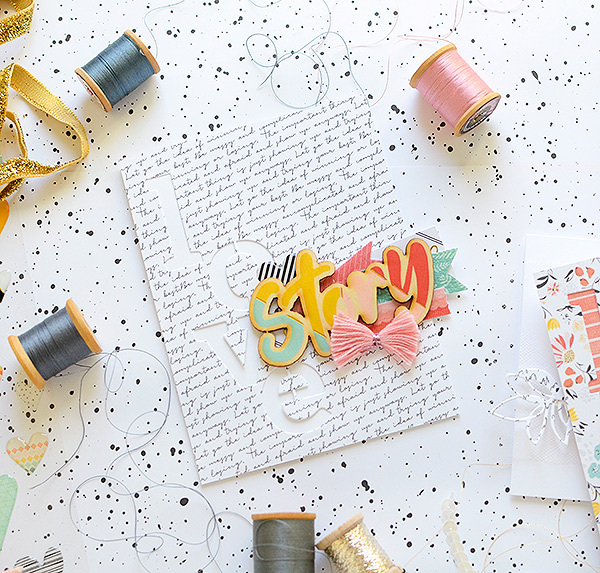 Love the incorporation of dies and sticker letters and patterned paper. Lord knows I have tons of patterepapaper stashed away! This is my FAVORITE !!! I adore the love story card great job !! What stunning cards! I love these stand alone word dies and what you've done with "love" is amazing! Beautiful patterns, colors and designs. Thanks so much for the chance to win! Your cards are wonderful! I "love" the Love die and the other stand-alones as well. Beautiful - so elegant and love the creativity ! Gorgeous cards !! 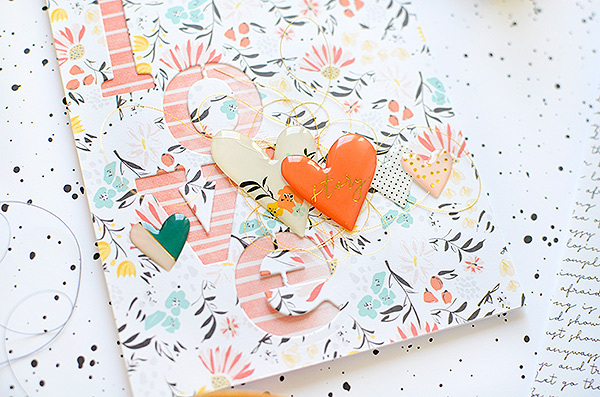 Loved the paring of "love" with pretty patterned papers !! Bright, happy cards! Thank you for the inspiration. Awesome cards, my favorite is the "love always". Beautiful choice on papers. What a beautiful set of cards; the colors and patterns work so well together. Thank you for sharing. These are SO PRETTY!! Love your style! Such gorgeous cards, love them all! 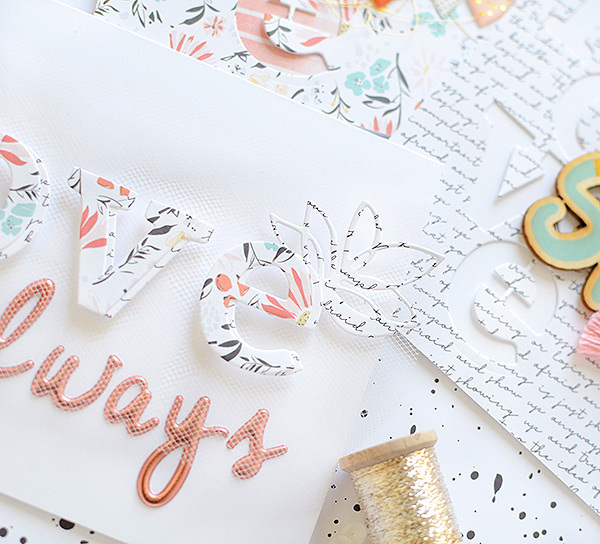 Thank you for showing wonderful examples of using the Love with Botanical dies. The paper you chose are very pretty, too. Wonderful cards. I love the colors you used, and the layouts are great. Amazing how you co-ordinate all of the pattern papers together so perfectly. What a very creative way to use these new dies!! Love the paper and color scheme for each card, very artistic and beautiful!! Thank you so much for sharing and inspiring!! Absolutely beautiful and original ideas! Thank you for the inspiration and ideas for these terrific stamps and dies! I so appreciate it! I’m in LOVE with these cards! The use of the letters and beautiful papers are beautiful!! I LOVE these cards! So beautiful. You have opened a whole new world for me with these stunning cards. Can’t thank you enough! Your cards are so very unique! Love them. Rebecca, I love everything you do! Your use of mixed elements are fantastic. The addition of fabric, tassels, printed paper, and everything else always work so well in enhancing the card or any of your other projects. second card is great - a two-fer. Beautiful cards! The love die is definitely going in my cart! This is so beautiful!!! LOVE it! And I love the colors!!! I love how you used these new products! The dies are fabulous. I love your feminine and romantic projects. WOW Rebecca, your cards are gorgeous! I love the simple beauty of ALL of your cards, the paper choices you've chosen could not be more elegant for your designs. Beautiful project, love the design and the use of the word die for both page layouts and cards. If I were lucky enough to receive one of those gorgeous cards, it would go up on my wall or mantle. I'm blown away. Thanks for sharing your designs. Sweet creations! I really like this release! Beautiful layout and colors! So sweet! Thanks for sharing your creativity! Lovely airy cards! You have a gift of combining many elements beautifully. Gorgeous cards! 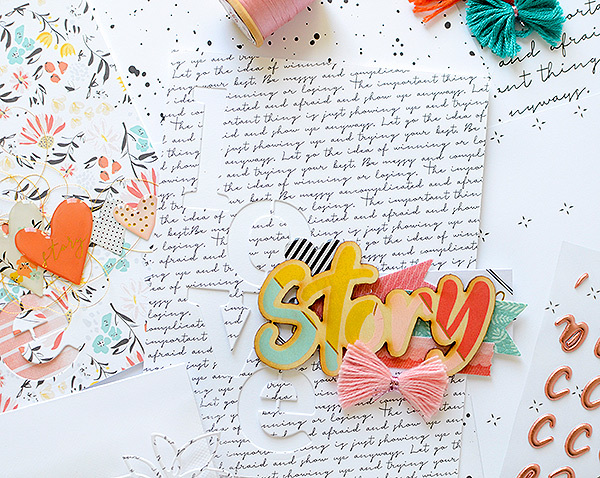 I love your use of patterned paper and embellishments to layer and add dimension. The Love word die looks fantastic both vertically and horizontally. Wonderful project! Thanks for sharing your ideas. Love the way you have put these cards together - your style is really special. Your cards are a breath of fresh air.. your have clean fresh modern look...love them. 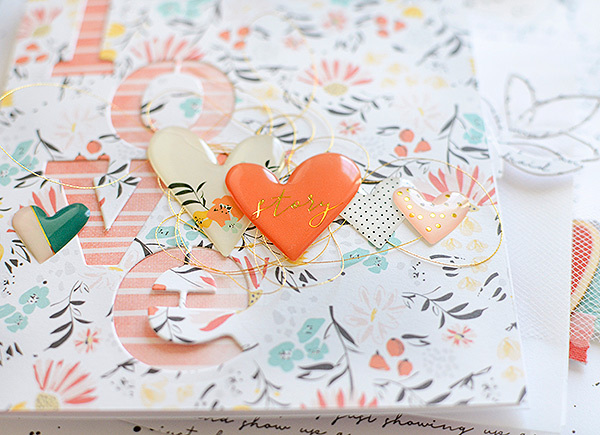 Awesome cards and I soooooo love how you've used the gorgeous patterned papers!! 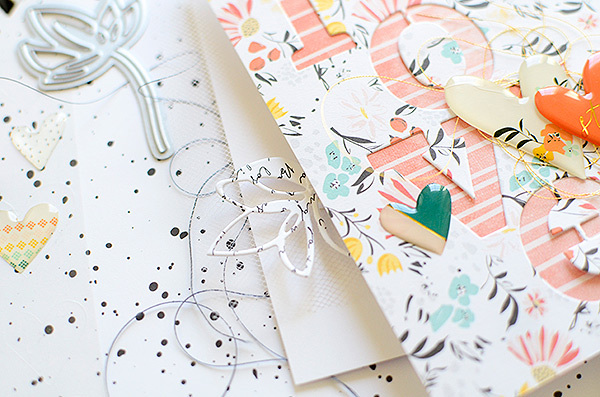 Cool cards, I love the way you combined patterned papers! So, so pretty! Love the colors and patterns. So spring! I LOVE big chunky words on cards and your designs are amazing! Love the color palette and the way you've highlighted the words. Beautiful! Wow! These are so beautiful and dreamy looking. Love them all and the possibilities with the big word dies are beautiful. Great job! Beautiful cards, thank you for showing those stunning word dies!!! I'm really loving these stand alone word dies and all your cards are gorgeous! 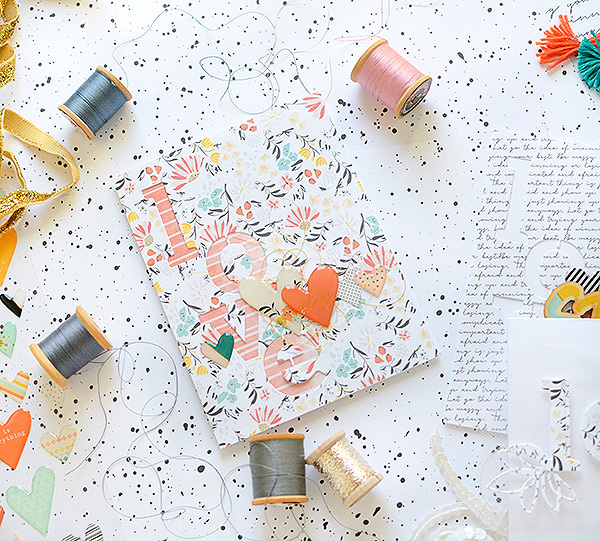 Love the wonderful mix of patterned papers! absolutely stunning cards (and the perfect photos of them). You have made me want that love die so much. thanks for the inspiration. Thank you!! I was on the fence about these dies but you have shown and inspired me with your use of the negative cuts. Simply superb cards! Fabulous cards!! I love the pattern papers and these new dies!! Oh so cute! Thanks for sharing your designs. absolutely gorgeous set of cards! Fabulous cards using this Love die. These cards are delightful. I love that you used the Dies two different ways because it shows versatility. Oh what STUNNING cards!! I adore how you used the dies on this!! Oooo, I like how the dies work with the patterned paper. I don't often think to do patterns with word dies, but I really like how these turned out. Thanks for sharing! Love your mix of patterned papers on here! Lovely trio of cards with gorgeous layering. The new word die are my favorite! I just love the ways you used the love set. You really featured their awesome versatility!